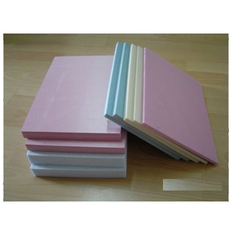 Offering you a complete choice of products which include acoustic boards. Acoustical Walls / Ceiling requirements for modern shopping malls and department stores are getting more complex which is a challenge for architects to meet specific requirements of large projects. NOWOFILL works closely with architects, right from the concept stage to site handover, to realise Acoustical Walls / Ceilings that truly perform! NOWOFILL deploys solutions for mall Acoustical Walls / Ceilings. NOWOFILL solution team interacts with the project ecosystem through the process. Each space within a mall development is micro-assessed for its requirements of form and function, right from aesthetics to acoustics, fire codes, light reflectance, green building requirements etc. These requirements are precisely matched with NOWOFILL’s vast array of Acoustical Walls / Ceiling systems. NOWOFILL portfolio of Acoustical Walls / Ceiling systems is so vast that it possibly fulfils every need of the ecosystem. From fine textures to metals, from microperfs to vinyls, from mineral fibre to naturals all in standard, large or plank format. What is more, NOWOFILL can deliver Acoustical Walls / Ceiling panels in shapes and curves apart from floats and clouds. The vast array of Acoustical Walls / Ceiling system is matched with supporting components and accessories that include perimeter trims, transitions, bulkheads, bandrasters etc. Engineering solutions are provided for large span Acoustical Walls / Ceilings below wideaspect ducting, special luminaries, Acoustical Walls / Ceiling junctions with glazing mullions and HVAC pockets, multi-level and multiproduct Acoustical Walls / Ceilings etc. Custom is standard at NOWOFILL! Acoustical Walls / Ceiling systems as visualised by the architect including radial, trapezoidal, curves or other seemingly impossible designs are delivered in lab-certified, factory-finished state by NOWOFILL enabling a top-quality install with near-zero snag list and hence quick project turnaround. The walk through below shows how to achieve the best of Acoustical Walls / Ceilings for your mall.